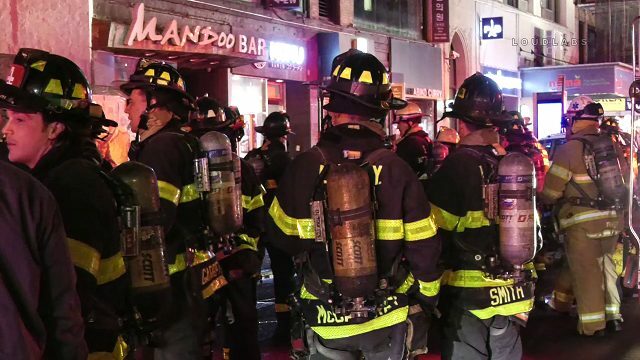 4.4.19 | by Adam Balhetchet | MIDTOWN, Manhattan (LoudlabsNYC) – A two-alarm fire broke out around 2 am Thursday at Mandoo Bar, located at 312 5th Ave, within the confines of the Midtown South Precinct. The fire was located in the rear of the restaurant on the 2nd floor. Searches for victims were negative and the cause of the fire to be determined by Fire Marshalls.